At Nixon Honey Farm we bring you the simple gift of all-natural, great tasting honey. Enjoy our products knowing they are made from the best of what nature provides. Our commitment to an exceptional product is our assurance of your satisfaction. Nixon Canadian premium honey is available in 55 gallon drums (approx. 290 kg per drum). Premium Canadian Honey. 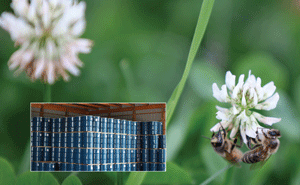 Nixon Honey is produced in a CFIA registered and inspected facility.